Photos: Examples of 2001-2002 model Honda Civic (left) and Honda Accord. June 30, 2016 (Washington D.C.) -- New test data on a particular subset of defective Takata air bag inflators in certain model-year 2001-2003 Honda and Acura vehicles show a far higher risk of ruptures during air bag deployment, prompting an urgent call from the National Highway Traffic Safety Administration to ensure that unrepaired vehicles in this population are found and fixed before they cause further injuries or fatalities. 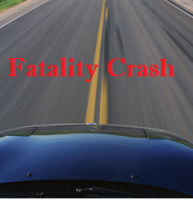 April 19, 2014 (La Mesa) – A 71-year-old La Mesa man, Michael James Bliss, died at the scene of a three-car collision on I-8 west of 70th Street that occurred last night at 10:42 p.m.